Thursday 10th December 2015: West Yorkshire Playhouse's Artistic Director James Brining explains that, 'the act of telling the story is as powerful as the story itself' – and this retelling does just that. The Ian Fleming fairytale fantasy of a flying car; an unconventional family and a world of eccentric characters lives up to expectations. 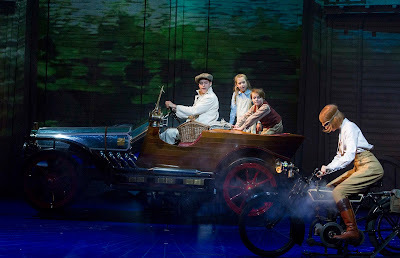 The attention to detail and utter magic of the production mirrors in genius the inventions of Caractacus Potts, immersing the audience into a world that turns the cogs of the imagination. Jon Robyns takes the lead role as inventor and storyteller Potts, whose talent is apparent in not only his versatility and voice, but in his natural interaction and sensitivity as a performer as dedicated father to Jeremy and Jemima, played by young actors Henry Kent and Caitlin Surtees. Joined by the delightful Amy Griffiths as a forward thinking Truly Scrumptious with a flair for mechanics, this production takes us back to a time where childhood dreams, fears and imaginings touch both adults and innocents alike. With scenic and lighting design from Simon Higlett and Tim Mitchell, the creative aspects of this show are not to be underestimated. 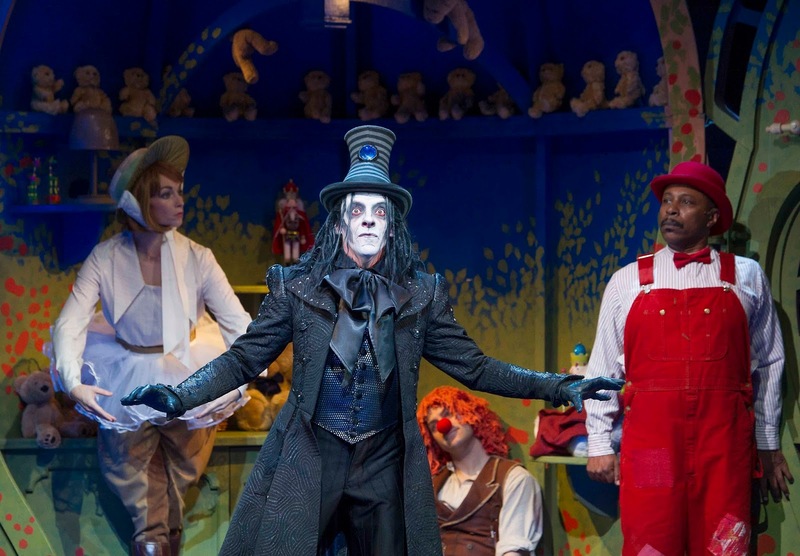 The outstanding production values only go to further enhance this magical machine - enhancing the already a super slick ensemble of dancers and hugely talented character actors. For cast details, please see each individual theatre website for more info.